If your ERP is NOT delivering, The ERP Doctor will tell you HOW to FIX it! 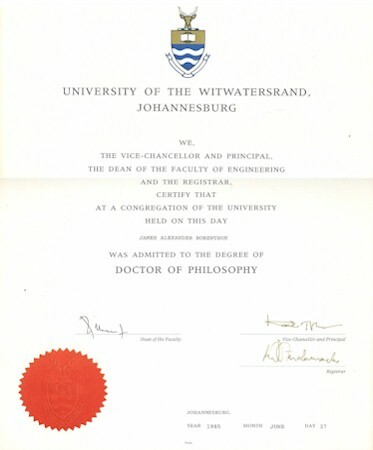 Dr James Robertson is an Engineer who has spent the last 24 years learning how to bring the standards of reliability and performance of the Engineering Industry to Business Information Systems (ERP) and Information Technology generally. In doing this he has developed many pioneering and ground breaking concepts such as “Precision Configuration” and “Integrated Business Information Systems (IBIS)”. All of these developments have taken place in the context of a strong strategic focus on “the essence of the business and how it thrives” – a strong future focused approach to delivering long term competitive advantage through enhanced strategic and operational decision making. James has received various accolades and has diverse experience as a thought leader and pioneer. See "Testimonials" page. 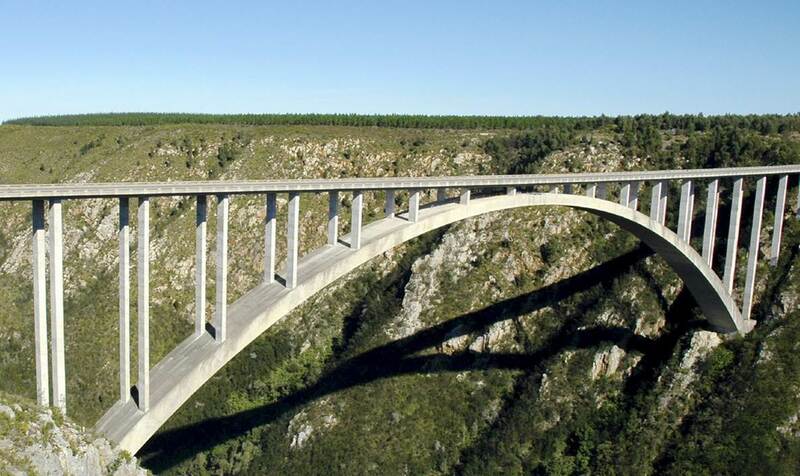 To understand the concept of “an engineering approach to Business Information Systems”, consider that if you go to an Engineer to design a bridge you get the bridge that you asked for and it stands up – this is in stark contrast to the majority of ERP implementations which either fail outright or fail to meet executive expectations. The Financial Mail has reported that “19 out of 30 ERP Implementations do NOT deliver what was promised”. Very few traditional ERP implementations enable future focused executive strategic (thrive) decision making or, for that matter, any thrive decision making at all. Gartner have reported that “Most organisations are not making better decisions than they did five years ago”. Drawing on his combat appreciation (concise information acquisition, leading to rapid and effective decision making) training, James has developed a high impact, short duration investigational technique for assessing the health of ERP and other IT and Business Information System Investments. Because of the concise nature of the investigation, it has been dubbed a "Pulse Measurement"
James guarantees that within one to ten days, (depending on the size and complexity of your organization and the complexity of your systems) he WILL accurately diagnose why you are experiencing system problems AND how to FIX them. This is possible because of James' very diverse experience that enables him to rapidly correlate your system illness symptoms, and tie them into past experience, leading to a concise and understandable treatment prescription. James has investigated numerous failed and sub-optimal ERP implementations, diagnosed the cause of the problems, advised clients how to rectify the problems and assisted them to implement his recommendations. Since 1990 he has written and spoken widely on why ERP implementations fail to deliver and how to fix them and is the author of the book “The Critical Factors for Information Technology Investment Success”. He regularly presents courses and Executive Briefings on this and related topics. James has pioneered a diversity of methods and tools, that are radically better than industry norms, directed at enabling clients to achieve high value Business Information System investment outcomes. He does this by focusing on the strategic drivers of the business and identifying opportunities for executives to enhance the “essence of the business and how it thrives”. This takes place within the context of a twenty year plus future focused view of creating business value through leveraging the investment in Business Information Systems, including ERP. His methods span the full spectrum from initial executive level strategic discovery of the strategic essence of the business at the inception of a project through to the final day to day operational management of systems in a “going concern” situation. Many of these methods are unconventional and, by many standards, controversial. In fact, James goes so far as to suggest that if you are steeped in conventional ERP and IT thinking you may need to stand on your head in order to understand what he is saying. However, as an executive you may well find that his message makes perfect sense and is aligned with your own perspective of what you expect from your ERP and IT investments. James frequently operates as a translator between Executives and IT and ERP Professionals. James places great emphasis on what he terms “Precision Configuration” and has coined the term “Strategic Engineered Precision Configuration”. He has developed considerable expertise with the application of these principles, together with a tool-set for the development of high performance Enterprise Financial Charts of Accounts, He has also developed concepts for highly advanced analytical tools and methods that will enable organizations to achieve substantial competitive advantage, relative to their competitors in the area of high quality, strategic decision support. He has also produced a detailed manual on the principles and concepts of Precision Configuration. 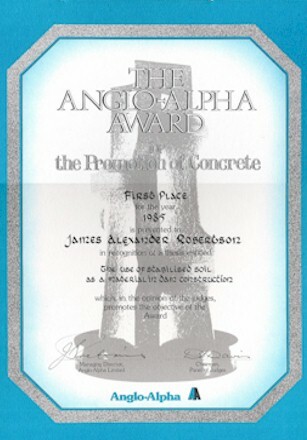 James states that his benchmark project is one in which the client doubled their turnover in twelve months, because he had enabled the firm to do things in support of analysis and decision making, that much larger competitors were unable to do – “customers experienced material cash value from what we had created and we could hardly keep up with the demand”. In a recent case James created a systems solution that enabled the client to secure the account for a major international brand, such that the turnover of the client firm increased substantially in a short space of time. One of James’ most radical claims is that bottom-up process-centric ERP implementations are a futile waste of time and money, and destroy value – in contrast he advocates a top down strategically focused implementation process that focuses on Strategic Engineered Precision Configuration, that captures the Essence of the Business and HOW it Thrives, and which is designed from the get-go with a view to enhancing long term, future focused competitive strategic decision making and value creation. 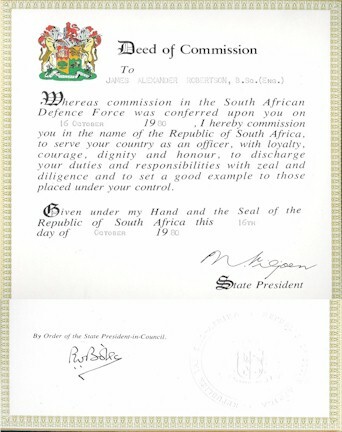 He states that “after the commissioning of a system the ONLY things that remain are the system configuration and the knowledge and experience of the personnel of the organization. Accordingly, precision configuration is THE most important part of a system implementation. Once the system is configured in a practical manner that captures the essence of the business, and that is manifestly better than the old configuration, and which inherently has executive support, human change issues diminish greatly. The biggest reason that “change management/facilitation” is such a big issue, is because systems are so badly configured (James calls this “sloppy configuration”) and implemented, you have to beat staff over the head with a blunt instrument in order to get them to accept the change”. Coupled to Precision Configuration, James advocates “clever strategic customization – small pieces of cleverly conceptualized software that enables high value “thrive” operations and decision making, and enables the organization to do things that its competitors cannot do”. He claims that the combination of Precision Configuration and Clever Strategic Customization can lift the value delivery of a Business Information Systems investment by orders of magnitude. He claims that Precision Configuration alone will raise the bar as much as a ten-fold and that Clever Strategic Customization on top of this will create a hundred-fold value increase – “THAT is when the executives of the client organization will tell anyone who will listen that their investment has paid for itself”. James has also undertaken considerable work with regard to a robust engineering approach to IT and ERP procurement and has expertise in other related fields -- refer to the other sections on this website. If you are NOT 100% satisfied with your business information systems, you OWE it to your shareholders to call in The ERP Doctor! What are the fundamental elements of what I am offering? Peer level interaction with executives, effective executive engagement, executive advisory with regard to strategy implementation and Integrated Business Information Systems (IBIS = ERP, etc), discovering strategic definition and requirements, translating between executives and technologists, unpacking, documenting and specifying the integrated strategic view of the business from the Chief Executive down. Trusted advisor who can assist executives to raise the bar in terms of competitive capability. Concise diagnosis of reasons for non-performance of business improvement and system implementation projects and investments through to concise, practical, understandable and actionable prescription of holistic treatment needed to remediate the situation. Facilitation of strategic analysis and strategic plan design using highly structured methods and supporting tools based on the work of Professor Malcolm McDonald of Cranfield School of Management. Results in a strategic plan to engineering standards against a holistic integrated view of the business as a tightly knit operational and strategic entity. Includes detailed resource plans taking account of the critical constraint imposed by executive availability. These critical issues method can be used for a one day workshop and frequently drives out new perspectives, better decisions and breaks deadlocks. Linked through to insight with regard to psychology, change and other soft issues resulting in comprehensive and holistic multi-year rolling strategic plans. Comprehensive facilitation of business professional service and integrated business information system procurement activities to engineering standards. Approach is directed at achieving high reliability enforceable contracts that minimize client risk and maximize outcome success. Large body of standard documentation and method takes account of over 27 years of procurement experience. Strategic project and program leadership directed at ensuring that project outcomes support the essence of the business and how it thrives and work reliably and sustainably. Deliver high value business improvement targets to tight budgets and high standards coupled to the previous point. Strong insight into the factors that cause strategic project and business system project failure and the critical factors for success. He has written a book on the subject and run courses on this subject since 2003 so principles are deeply understood. 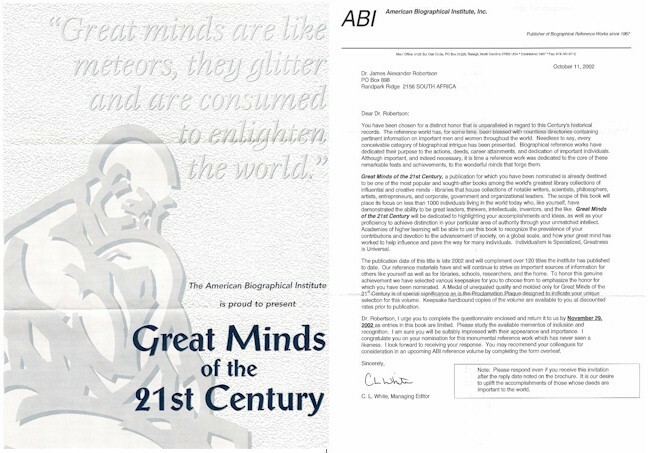 Pioneering thought leadership with regard to concepts, principles, standards and methods relating to the Precision Configuration of Integrated Business Information Systems (any and ALL business computer systems) to engineering standards that unlock the full potential of the host systems and raise the strategic information value delivery and capability of the business systems by a factor of 100 or more. Move your business from teams of accountants working with spreadsheets for weeks to produce suspect results to touch of a button executive and board level reporting. Unlock the latent potential of information systems so they deliver on the original sales promises. Specialized tools and methods relating to highly structured enterprise level charts of accounts that comprehensively model the business at both the strategic and operational levels. Conceptualization, specification, oversight of construction and testing and commissioning of limited scope high value software to unlock competitive value from operational business systems in support of the previous point. Very wide high level general business knowledge coupled to strong analytical ability and deep strategic intuition and insight underpinned by key areas of deep expertise create a platform for delivering high value, high impact inputs to clients across a wide spectrum of additional areas to those mentioned above. 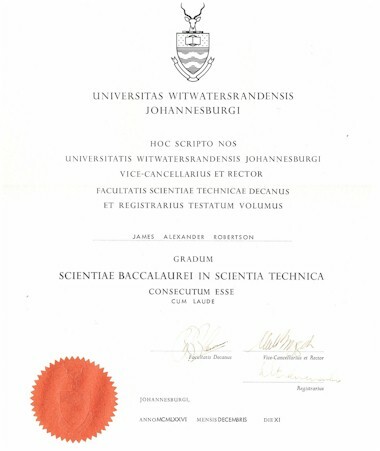 This unique portfolio of knowledge and experience enables James to engage effectively with any organization independent of industry and with regard to any business information system, irrespective of brand through a solid high level understanding of the fundamentals of how organizations work at the strategic (fundamental / essential) level and how systems work and how this is translated into operational actions. I look forward to being of assistance to you. Please email me on James@James-A-Robertson-and-Associates.com to discuss how I can assist you. 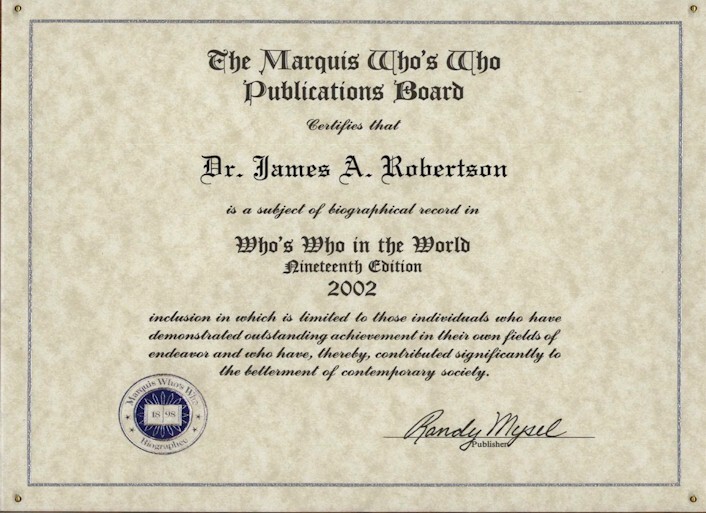 Why Engage Dr James Robertson? Why should you engage with Dr James Robertson PrEng to advise you with regard to your IT and ERP issues? In 1989 James Robertson set out to "bring the disciplines of engineering" (high reliability, high value outcomes) "to the IT and ERP industry". He soon discovered that 70% of IT investments fail outright and only 10% meet or exceed expectations. By 1991 he was speaking regularly at public conferences on these findings and outlining methods to solve the problem. As a consequence he has been engaged by numerous clients to evaluate failed and sub-optimal IT and ERP installations, turning most around but in a very few cases, advising clients to terminate the investment. In 2003 he catalogued his findings and wrote the book "The Critical Factors for Information Technology Investment Success". That same year the Financial Mail reported that "19 out of 20 ERP implementations do NOT deliver what was promised". Gartner subsequently reported that "most organizations are NOT making better decisions than five years ago". Since 2004 James has presented regular courses, advised numerous clients and continued to refine his techniques. This has brought us to a point where today Dr Robertson is THE thought leader with regard to effective application of ERP in South Africa and possibly worldwide. James first consulted to senior executives in Europe in 1982, he has been comfortable in the executive suite ever since. As a consequence he knows what is important to executives and is able to speak their language. James is an executive advisor first and an IT and ERP specialist second. James "cut his teeth" in economics and decision support in 1982 and has a thorough grounding in the essential principles of economics. From this grounding he has developed a thorough grasp of the sort of information that executives need to make high value business decisions. His first commercial IT project enabled the firm to double their turnover by taking on new international clients. This dramatic growth was as a consequence of capability conceptualized and implemented by James that enabled the firm to do things that much larger firms were unable to do. James demonstrates an intuitive grasp of strategy and has been speaking about the importance of the strategic alignment of IT and ERP since 1990. He has pioneered the StratSnap critical issues thinking method and toolset and facilitated many strategic sessions for clients. The method systematically and rigorously leads clients through a step by step process to develop robust critical issues based strategic plans, requirement definitions, etc which focus on the essence of the business and how it thrives. James regards strategic alignment as an integral and non-negotiable element of any IT or ERP investment and seeks to understand the essential drivers of the client business from his first engagement interview with new clients. 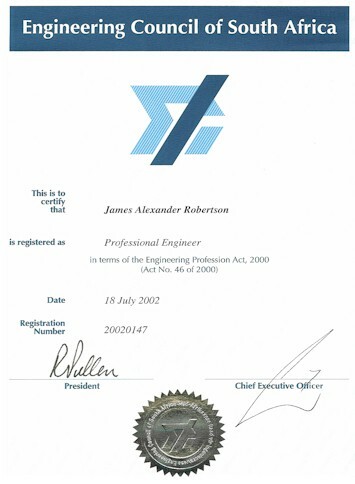 In seeking to "bring the disciplines of engineering to the IT industry" James has clearly identified that the design, deployment and operation of IT and ERP systems is fundamentally an engineering endeavour – a rigorous, precise and systematic method of working fundamentally attuned with creating new systems that fully meet client executive requirements. 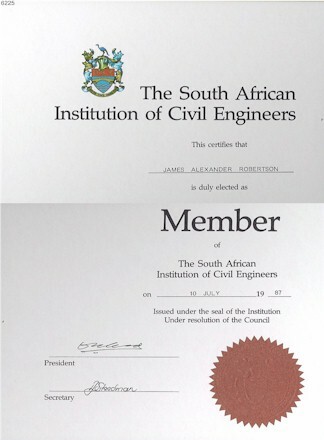 At the same time, James has recognized that traditional engineering training fails to provide grounding in the soft issues like facilitation of change, strategy, corporate governance, communication, etc and he has integrated all of these disciplines into the approach that he advocates and the methods that he uses. "Engineers do NOT design bridges to stand up . . .
. . . Engineers design bridges NOT to fall down"
This understanding supports James' fundamental approach to "design for success by engineering against failure", an approach that underpins all the work that he does. James maintains that it is not possible to produce a successful IT or ERP outcome without being blunt about the issues that are causing failure and systematically eliminating those factors from the project or operational environment. Since 1989 and the outset of his Professional Consulting Business Systems Engineering practice, James A Robertson and Associates, James has specialized in short sharp diagnostic interventions. These concentrate on the critical issues required to deliver the required business outcome in the shortest possible time. This critical issues approach led to the creation of his flagship offering, the IT and ERP "Pulse Measurement" – a one to ten day intervention in which he systematically investigates the health of the designated IT or ERP system, department or other operational or project area that is giving cause for concern to executives. These interventions always commence with interviews with the Chief Executive and other executives. A key goal in these interviews is to understand the strategic essence of the business and the "burning issues" of concern to the executive team. 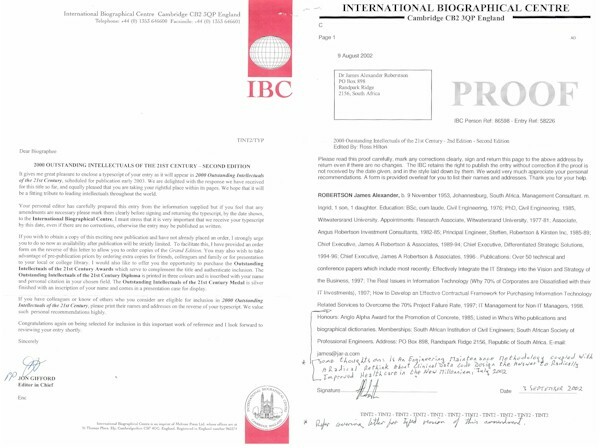 Informed by this high level understanding of the issues facing client executives, James then interviews mid-level managers responsible for the operation of the systems in question. This is followed by sessions with the operational staff and service providers culminating in a hands-on look at the systems and sometimes an end to end "walkthrough" of the system in order to understand the exact technical elements that are contributing to the problem. The deliverable from the Pulse Measurement is a concise report listing approximately seven Critical Findings which are prioritized and weighted in terms of their relative importance in giving rise to the problem in question. These are followed by approximately seven Critical Recommended Actions, also prioritized and weighted, this time in terms of their importance in rectifying the problem. The findings and recommended actions are presented in simple language that is entirely understandable to executives. James is able to deliver this high value outcome in such a short period of time by operating in much the same way that a Medical Practitioner is able to rapidly diagnose a medical condition and prescribe treatment. He does this by holding up key observations against a body of thirty years' experience of what works and what doesn't and so a simple phrase like "I cannot get the information I am looking for from my ERP system" (a frequent complaint) instantly enables James to access a body of knowledge based on thousands of hours of practical experience as to what causes such a problem and how it can be fixed. Further investigation is geared to confirming the initial diagnosis and homing in on the specific issues. Recommendations can be as simple as a change in policy or as drastic as a recommendation to abort a project or system and return to the previous systems. Recommendations frequently address issues of governance, executive custody, staffing, strategic alignment, communication and diverse other issues. The exact mix is unique to every organization but the range of diagnoses and treatments prescribed are frequently variations on themes encountered many times before. Pulse Measurements frequently lead to significant changes in direction and sometimes save clients millions of Pounds. In all cases, the executives of the client organization have a much clearer view of the way forward and what the REAL ISSUES are once the Pulse Measurement is complete. Clients regularly engage James to advise at some level with regard to the implementation of his recommendations. James says "I get my adrenalin rush out of solving problems no one else can solve, I like achieving practical outcomes that work and I hate failure". Based on this ethos, James has invested huge amounts of unremunerated time to understand the real issues in IT and how to achieve successful outcomes and how to achieve the true potential of ERP investments. The techniques that James has pioneered are so innovative that it has recently become apparent that the standard of implementation of ERP that James regards as essential are such that dramatically better business outcomes are achievable for similar capital investment and lower operating cost than traditional approaches as illustrated in the figure below. The right hand bar represents the standard of excellence that Executives think they bought (and that James champions) whereas the left hand bar represents the standard that is commonly delivered. If you are frustrated that you cannot get the answers you need when you need them, feel that your IT staff live on a different planet and do not understand your needs, are not sure whether to replace your ERP, are being told you have bought the wrong ERP or are in any other way dissatisfied with your current IT or ERP dispensation, you owe it to yourself to arrange a no obligation one hour meeting or teleconference with Dr James Robertson to discuss how he can best assist you. SNw 022 Your ERP is a precision instrument - are you using it that way? TxM 043 Section 4.8 What is an IT Pulse Measurement? SNw 027 What is a business systems laboratory? 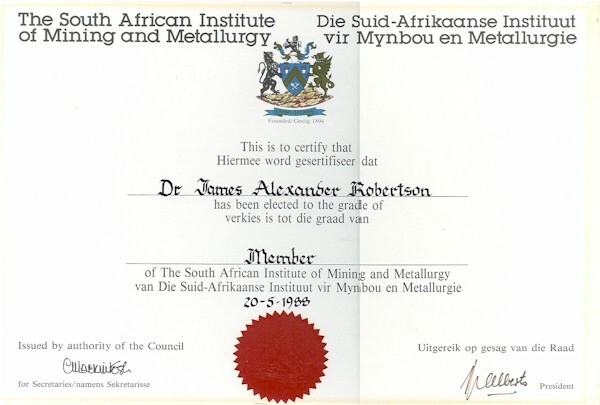 Dr James A Robertson -- has been involved in the effective application of Business Information Systems, including but NOT limited to ERP, since 1987 and in the profitable and effective use of computers in Business since 1981. Drawing on a diversity of experience, including formal military training in Quick Attack techniques at the Regimental Commander level, Dr Robertson has developed highly effective methods of investigating any sub-optimal Business Information Systems situation -- be it an established system or a stalled project or any other source of Executive frustration -- quickly and concisely diagnosing the root cause of the problem and prescribing concise practical actions that Business Executives can effectively act on see the Pulse Measurement page and also the Sample Reports page for redacted real reports. He has also developed highly effective methods of strategically enriching systems to unlock the full potential of existing investments, see the Precision Configuration page and couples this to architecting small pieces of clever software that harness the full potential of your investment, see the Software page. Business System Failure is RIFE -- we offer insight into why this happens AND WHAT is required to prevent it. Failure is at epidemic levels with massive damage done to client companies -- if you are NOT aware of the extent of the problem please visit the About Failure page for a catalog of major failures running to billions of Pounds and Dollars. All evidence indicates that the established players do NOT know how to deliver stable, reliable high value solutions that WORK. This approach is discussed further on the Engineering Approach page. 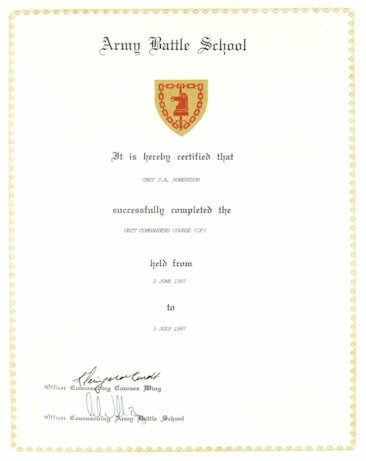 In 2003 I undertook an in-depth analysis of all the information and experience that I had gathered with regard to the factors giving rise to Business Information System failure including ERP and general IT and classified this information into a number of categories including "The Factors Causing Failure" and "The Critical Factors for Success" based on this I developed a two day Course "The Critical Factors for Information Technology Investment Success" which is still offered today. TxM 007 Section 1.5 History of the JAR&A Strategic Engineered Precision Taxonomy (SEPT) approach? James has a very detailed profile on LinkedIn should you require further information about him. James has an open networking profile -- click on "Connect" and use email address James@LinkedIn-at-JARA.com. Executive Custody -- What is it and HOW do you get it? What is a JAR&A Pulse Measurement? Strategy -- the Essence of the Business: What is it and how do you develop actionable strategic plans?